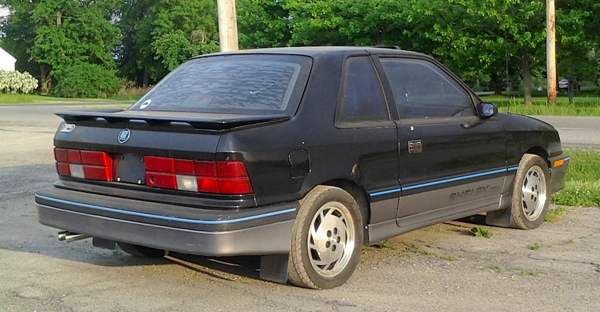 Another in the series of “You don’t see one of these every day” cars is this 1987 Shelby CSX, a Dodge Shadow-based limited-production high-performance automobile built by racing legend Carroll Shelby. Powered by a 2.2L turbocharged in-line four which was modified to put out 175 hp, the CSX also featured improved handling, unique paint and exterior styling, and CSX-exclusive interior features. It carried an MSRP of $13,495 and only 750 1987 models were built (it continued on through the 1989 model year). This one, with 73k on the odo, is for sale in Albion, having been stored for the past ten years. Jim Corbran, RRofWNY Check out our new Facebook page: LuvTheCheapies The post RealRides of WNY appeared first on Buffalo Cars.